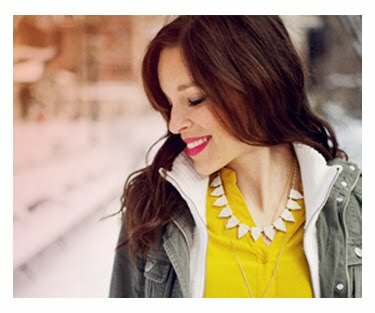 As I showed you in in the first accessory organization post, I store my big chunky necklaces in a dish, and scarves on a DIY hanger. The finer ones I hang on a Jewelry Tree Stand (you can find these at Bed Bath and Beyond for $10) to keep them from tangling. I love having other baubles in dishes, which makes for a fun display. You can see additional photos to this Jewelry Storage post in my flickr stream. I love the tree stand, especially the price, yay! I also loved seeing you on ewtn the other day, double yay! I have a lot of necklaces, so I just buy sets of hooks that you nail onto the wall and then organize the necklaces by color. I love your little dishes too! And more importantly, I just want all your jewelry. My favorite thing about my jewelry storage is I hang my earrings over the side of a deeper bowl so I can see them and they don't get tangled! I keep all my earring in the same glass container I have had for ages. 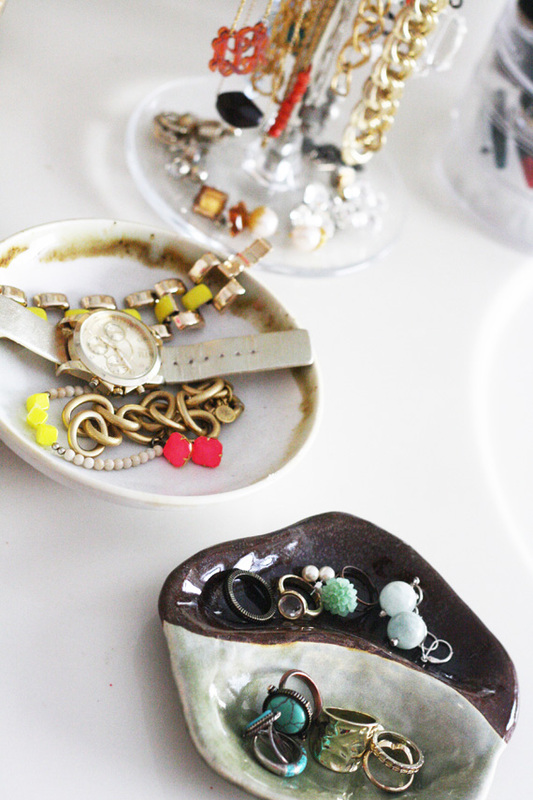 it is probably good I never wear jewelry since i would just throw it all in the same container. Yours look so pretty and organized. 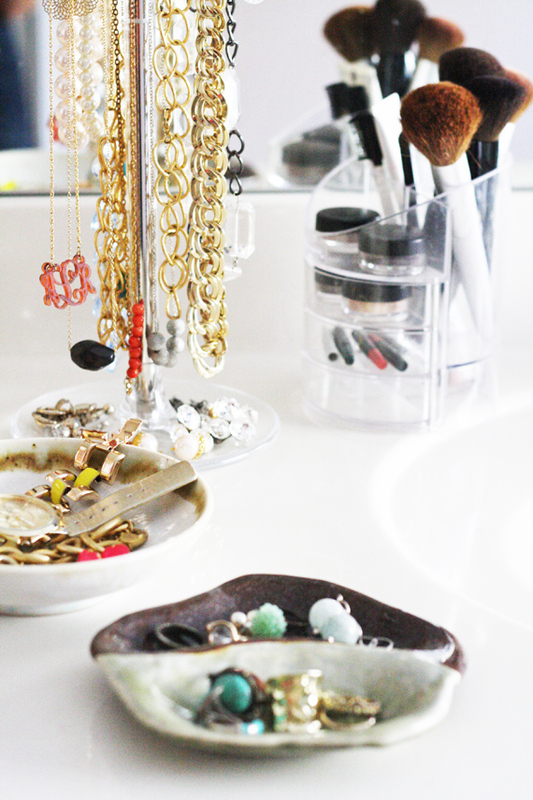 i love, love seeing how other people organize things in their home, especially fun stuff like jewelry & makeup! great post & thanks for such an honest post yesterday. that was so well written! I need more jewelry organization, bad! Love what you've done with yours! Such a great idea for organization Anna! 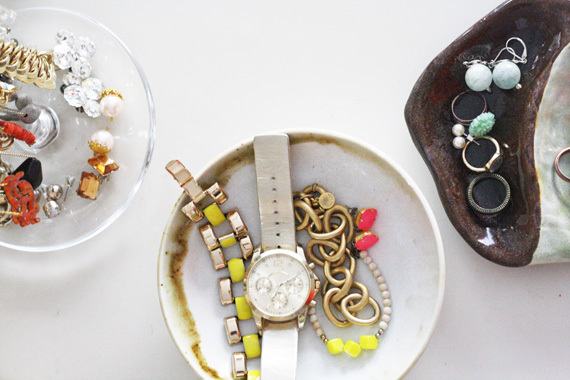 I use little Anthro bowls for my jewelry, although I do have to find something to hang my necklaces from! 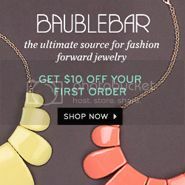 These posts make me want to buy all the jewerly! So pretty! I love the way you have them displayed on dishes. I don't know if I could do that though, at least not with many of my pieces. I'd be afraid they'd tarnish. This is pretty much how i organite my jewellery, but i want to get me a bigger and pretty case also ... have a super week Anna! I use a bunch of clear lucite Muji boxes but it's actually pretty messy - I love your set up of the DIY hanger with some pretty dishes. 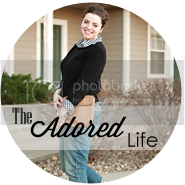 Just discovered your blog and am glad I found it! I love the lucite tree stand, so cute!! Lovely! 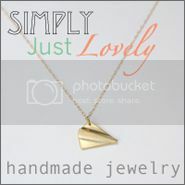 It's so pretty to see jewelry out and displayed instead of tucking it away. 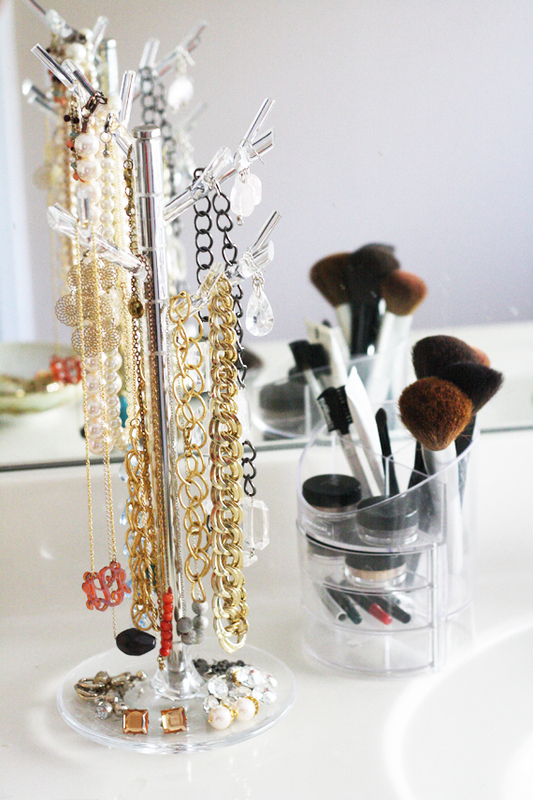 Wish I had a pretty dressing table...maybe one day! Anyway, thanks for the inspiration :-) Hope your day has been lovely so far, and that your little are continuing to recover.